In the early days, a lot of companies looked at content marketing as just another word for blogging. Today we know it’s much more. Content marketing encompasses nearly every aspect of online marketing that involves content. That means SEO, PR, social media marketing and more. With all these moving pieces, there’s a lot to manage. In order to help you get a better understanding of what is content marketing, how it can help your business and how to create a winning strategy, we’ve compiled a huge list of 180 content marketing tools and resources. This list includes tools, articles, templates, case studies and everything else you need to become a content marketing pro. Visuals are crucial for your content marketing strategy. We’ve seen a huge surge in infographics, photo sharing and visually driven social networks over the past five years. Remember, content means more than just text. These tools will make it easier to add professional looking photos, infographics and illustrations to spice up your content marketing efforts. Canva: Canva is a simple drag and drop graphic design tool. It comes with a huge library of free templates, design elements and helpful articles to improve your design skills. Piktochart: Piktochart allows you to make professional looking infographics from scratch or with the help of customizable templates. Infogram: If you have a lot of stats and data, you can use Infogram to turn them into beautiful charts and graphs. Easelly: Easelly is another graphic design tool to make infographics and other visuals. You also have the ability to get your designs featured on the site for added exposure. PicMonkey: PinkMonkey is a popular image editor for desktop and mobile. You can apply filters to your photos, add borders and hundreds of other design elements. Pixlr: Pixlr is cloud-based image editor that’s like a lightweight Photoshop. PicJumbo: Finding stock photos that don’t look horrible can be a challenge for content marketers. PicJumbo has a vast library of free, high quality stock photos that go beyond the generic businessman smiling at the camera. GraphicRiver: GraphicRiver is a marketplace to buy fonts, icons, vectors, logo templates and other designs. Just because visuals are important, that doesn’t mean you can slack on your writing. Since writing doesn’t come natural to everyone, having a little help can go a long way. The tools below will make writing easier and improve the quality of your content. WordPress: WordPress is the most popular Content Management System (CMS) in the world. It’s one of the easiest platforms to setup your blog or entire website and enter content without needing to know how to code. Focus@Will: Need some relaxing music to help you focus while you create content? Focus@Will uses scientific research to create songs and playlists designed to help you concentrate. Grammarly: Grammarly is a freemium tool you can use to check the grammar and spelling of your content. It goes beyond the spell check features of most word processors and even has handy reports to show how many corrections you’ve made. Title Capitalization: When you’re not sure which words to capitalize in your headlines, plug it into Title Capitalization to see the correct format. AP Stylebook: AP Stylebook is a great resource to ensure you’re following AP style guidelines in your writing. 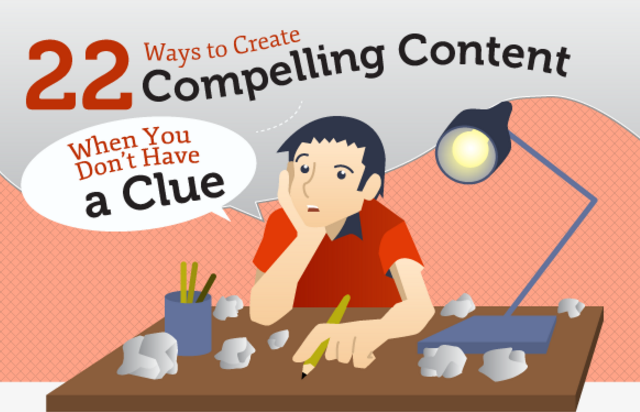 One of the most difficult parts of content marketing is coming up with ideas. You need to make sure you’re creating and sharing content about topics your audience cares about. At the same time, your topics should have SEO value so keywords play a role. Try these tools for a steady supply of content ideas. 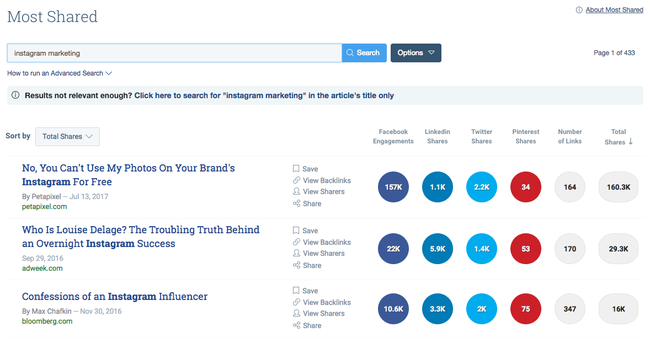 Buzzsumo: Buzzsumo helps you find content that has been highly shared on social media, as well as the top influencers in your industry. Long Tail Pro: Long Tail Pro makes it easy to discover low competition keywords for your content. Keywordtool.io: Keywordtool.io is another keyword research tool. In addition to sourcing ideas from Google, it also checks YouTube, Amazon, Bing and the App Store. Feedly: Feedly has several uses for content marketing. It gives you the feeds of all your favorite blogs in one dashboard. You can use Feedly to source content to share on social media, or to get ideas for your own content. Feedly also integrates with Sprout Social to make scheduling your content quick and easy. Content Forest Ideator: The ideator searches for existing content around the web containing your specified topic. Use the results to come up with new ideas for topics and headlines. Don’t copy the exact same headlines/topics Ideator displays. Creating content is nice, but if nobody sees it, what’s the point? Content promotion is just as important as the creation process. Some content marketing pros even recommend spending more time promoting and distributing content than creating it. Use these tools to get your content in front of more people. Sprout Social: Sprout Social is our social media management software. 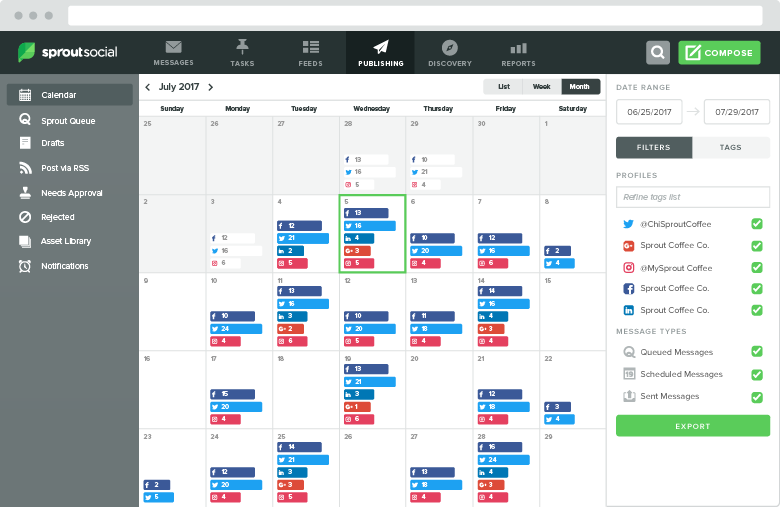 You can use Sprout to schedule your social media posts, engage with your audience and measure the performance of your social media shares. Buzzstream: Buzzstream is a link building and PR tool you can use to manage all of your outreach efforts. SlideShare: SlideShare is a community to share slideshow presentations, infographics and videos. It’s a great platform for repurposed or new content. Social Media: It should go without saying, but using sites like Twitter, Instagram, Facebook and Snapchat is one of the best content distribution tactics you can try. Ninja Outreach: Ninja Outreach is a web-based outreach tool. You can search for outreach prospects, send emails, manage your conversations and more. As content marketing becomes a bigger piece of your strategy and your team grows, you’ll need to improve your infrastructure and processes to keep up. Here are some great tools and resources to scale your content marketing efforts. 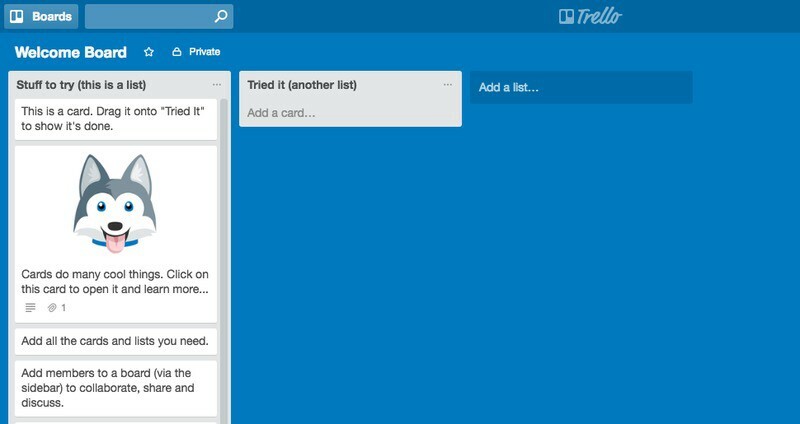 Trello: Use Trello to keep your projects and workflow organized when you’re working with a team. Google Drive: Google Drive is a great tool to create and collaborate on documents with your team no matter where they are. Problogger Job Board: In addition to being one of the leading resources for blogging tips, Pro Blogger also has a job board you can use to find high quality writers to create content. 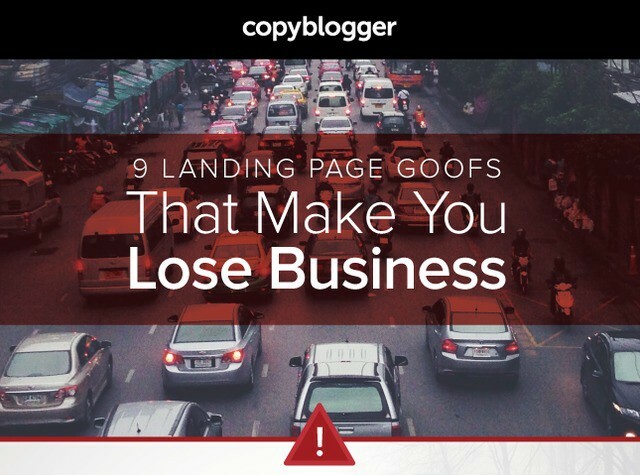 Is your content marketing working? Use these analytics and reporting tools to track and measure your brand’s content marketing. Moz Pro: Moz Pro is known for being a popular SEO tool, but it’s just as beneficial for content marketing. Track brand mentions, find outreach opportunities and much more. Google Analytics: Google Analytics is a must-have tool to measure and analyze your site’s traffic. Cyfe: Cyfe is a dashboard that lets you connect the various tools you use to manage your content marketing efforts like Google Analytics, Twitter, email marketing software and dozens of others. Ahrefs: Ahrefs is a great tool for monitoring the sites that link to your content. In addition to that, it also includes keyword research features, rank tracking, a site audit and more, so it can help you at every stage of the content marketing process. Diving head-first into content marketing may work on some occasions. But if you want to improve your chances of success, it helps to have a strategy laid out. These templates, checklists, and workbooks will make it easier for you to create an actionable plan. Core Content Strategy Statement: This template will set the expectations for what you want to accomplish with your content marketing strategy. Content Planning Template: Use this template to create a plan and strategy for your content. Content Marketing Quick Start: This workbook will give you a basic understanding of what content marketing is and the steps you need to take to get started such as doing a content audit and developing buyer personas. Create a Buyer Persona: This tool helps you define your buyer personas through a series of questions. Customer Journey Map: Certain content will resonate differently with your audience depending on what stage of the buying process they’re in. This template lets you decide what content to produce for each buyer persona you create. SEO Checklist: The Keyword Research Process: This handy checklist walks you through the keyword research process. Editorial Calendar Template: You can use this spreadsheet to manage your blog’s content calendar. Content Audit & Keyword Matrix Template: This is more robust spreadsheet to organize and audit all the content on your site. Content Marketing Budget Template: How much are you going to spend on content marketing? Use this template to setup your budget. Staying on top of the latest developments in content marketing and immersing yourself in the industry will help you become a better content marketer. 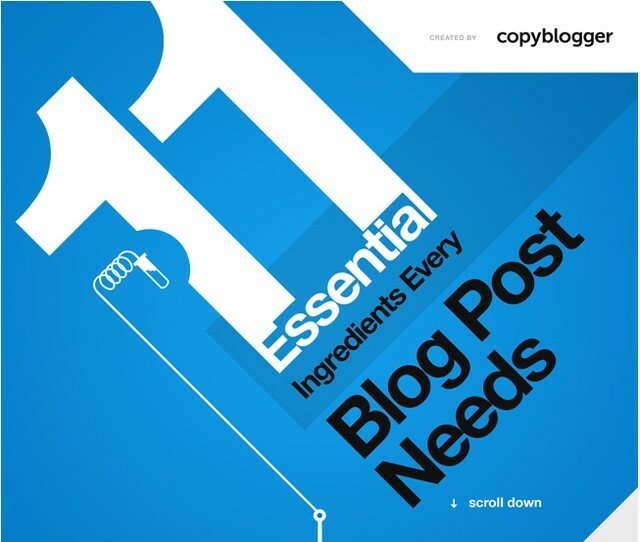 These are some of the top content marketing blogs to add to your reading list. Content Marketing Institute: Content Marketing Institute has a wealth of actionable articles, data and resources for content marketers of any level. Hubspot: The founders of Hubspot actually coined the term “inbound marketing” which often gets intertwined with content marketing. On the blog, you’ll find case studies, templates and inbound marketing tips. Convince & Convert: Convince & Convert tackles the topic of content marketing primarily for larger organizations. It focuses on using content marketing to gain customers. Copyblogger: Copyblogger does a great job of teaching content marketers how to write compelling content. But there are plenty of other topics to read about on the blog as well. The Content Strategist: The Content Strategist is a magazine-style blog with articles about content marketing news, examples of creative campaigns and how-to guides. The Scripted Blog: The Scripted blog helps writers learn more about content marketing as a whole, outside of just the content creation portion. Sprout Social Insights: Social media is one of the most important pieces of the content marketing puzzle. On our blog, we share helpful articles about social media marketing for businesses. The Knowledge Bank: The Knowledge Bank is a creative content marketing blog that allows you to customize your feed to see the topics you want to read about. Quick Sprout: Neil Patel writes about all areas of marketing on his blog, Quick Sprout. 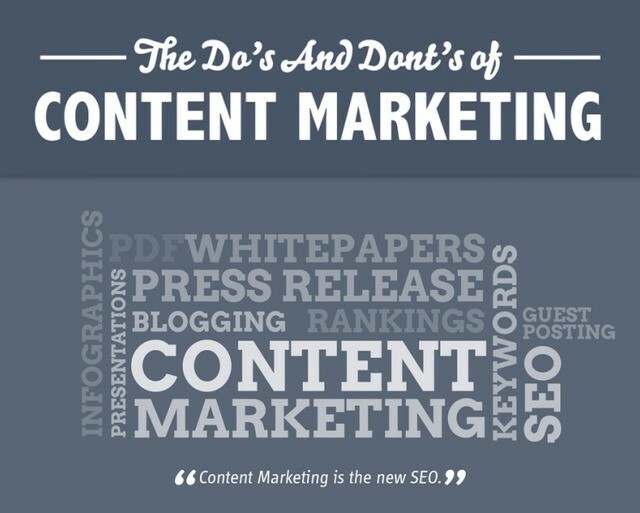 However, a majority of the content is extremely helpful for content marketers, so it’s definitely worth adding to your reading list. If you’re just getting started with content marketing or looking to expand your knowledge, these articles and guides are a great place to start. One of the best parts about content marketing is the huge community. Plenty of content marketers are happy to share their top tips and insights. Give these influencers a follow to see what top content marketers are Tweeting about. Sometimes the best way to learn is to see what successful people have done. These case studies will not only give you inspiration, but they also serve as proof of how effective content marketing can be. Whether you’re trying to sell content marketing to the C-Suite or just want insight into the industry, these white papers are valuable resources. Turned Off: How Brands Are Annoying Customers on Social: Find out what your brand is doing that could be annoying your customers on social media. Stop Killing Your Content: 3 Reasons Your Content Is Falling Flat: In this whitepaper, you’ll learn how poor content hurts your brand and how to avoid it. What Works in Content Marketing? : This whitepaper consists of case studies and resources to get a better understanding of what works in content marketing. 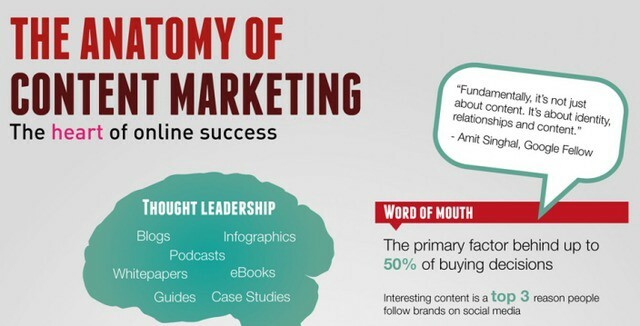 These infographics display data, stats and actionable tips about content marketing. Give them a look or share them with your team. Content marketing might not be something you can major in at college, but that doesn’t mean there’s not a formal way to learn how to do it. Class is in session with these content marketing courses. Hubspot Content Marketing Certification Course: This course breaks down the difference between content marketing and inbound marketing. You’ll also learn how to build processes to scale your content marketing efforts. Online Marketing Institute: In this library of video lessons, you’ll be able to learn everything from how to become a better storyteller to how to measure content marketing. Copyblogger Membership: Signing up for Copyblogger’s free membership gives you access to a long list of trainings, eBooks and articles to learn about all aspects of online marketing. Content Marketing University: This course is aimed at enterprises and content marketing teams, as well as individual content marketers who want to expand their skillset. Content Marketing Crash Course: This content marketing course is all about how to create better content. If your biggest struggle is the creation process, this course is worth checking out. Content Marketing Bootcamp: This course is about the intersection of content marketing and SEO. Learn how to use content to bring new visitors to your website. Content Marketing for B2B Enterprises: This free Udemy course shows you how to get B2B leads using content marketing. Want a break from watching funny cats on YouTube? Take a look at these videos about content marketing to learn and be entertained. Joe Pulizzi and Robert Rose, two of the most well-known experts in the content marketing space, talk about the latest content marketing trends and discuss how businesses can use content to attract and retain customers. Each podcast show features a discussion of content marketing headlines, rants from Joe and Robert on what’s going on in the industry, and a “This Old Marketing” example from the past (that we can learn from). Always useful, entertaining and never more than 60 minutes. Every week on the Content Warfare Podcast, Ryan Hanley interviews the Internet’s most prolific content creators to extract their secrets for winning the battle for attention online. Popular guests include: Chris Brogan, Marcus Sheridan, Mark Schaefer and Gini Dietrich. Popular topics include: content marketing, writing, podcasting, social media and audience building. Content Inc. is for entrepreneurs and startups who want to be big — not by creating and selling more products and services — but by developing a loyal audience through remarkable content. Podcast creator Joe Pulizzi, known as the “godfather of content marketing,” believes that most small businesses and startups are going to market in the wrong way. Instead of leading first with product, Joe believes entrepreneurs should be building audiences…then they can sell whatever they want. Each podcast contains one inspirational idea that can change your business — all in less than 15 minutes per episode. Kelly and Alisa are passionate marketers who get a real thrill from helping small and medium-sized businesses harness the power of online inbound marketing to increase website traffic, leads and sales. Content marketing isn’t just a buzzword — it’s the key to connecting with today’s hard-to-reach consumer. In the Content Marketing Podcast, Rachel Parker of Resonance Content Marketing helps you understand what content marketing is, why it’s important, and how to put it to work attracting and retaining customers for your business. Learn to be a content marketing contender with the Content Champion Podcast. In each show we share the essential strategies, tactics and tools to help you punch above your weight online. Vibrant, informative and always essential listening, we showcase step-by-step techniques you can start using right now to become a content champion in your own business. A talk show about all things content marketing featuring Andy Crestodina and Barry Feldman. 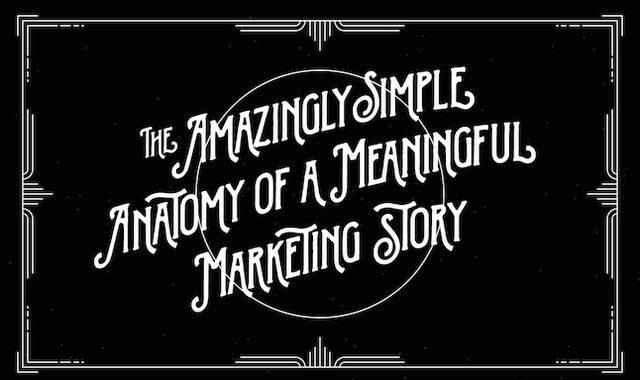 Each 22-minute episode explores a significant tactic that makes content marketing effective. Interviews with authors, experts and thought leaders sharing business marketing tips, tactics and resources hosted by one America’s leading small business marketing experts. 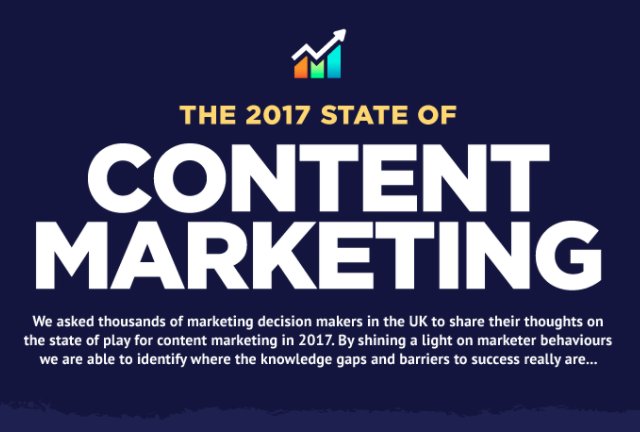 In case you need proof of how effective content marketing can be, or need to prove it to someone else, you can use these content marketing stats as a resource. Attending events allows you to network with other content marketers as well as learn from guest speakers. Add these annual content marketing events to your calendar before they’re completely booked. Content Marketing World: This is one of the most popular content marketing events in the industry. Experts from around the world gather to teach and learn about everything content marketing related. B2B Marketing Exchange: This conference is focused on B2B marketing and tackles new exciting topics each year. GrowthHackers Conference: As the name implies, this conference is all about growth hacking. Speakers talk about how to create a growth team, content marketing, effective tactics and everything in between. Marketing Sherpa Summit: Over 500 companies gather at the Marketing Sherpa Summit to discuss fast, effective and measurable marketing strategies and tactics. You also have the opportunity to participate in workshops and plenty of networking. Intelligent Content Conference: The focus of this conference is content marketing strategy. It goes beyond how to write great content and touches on topics such as how to scale and the tools you can use to be more efficient. 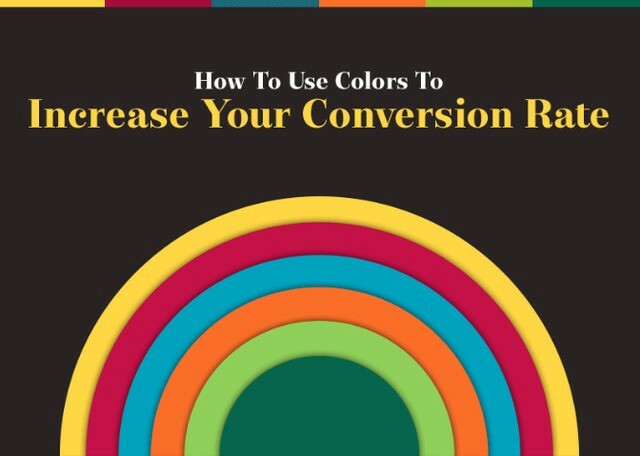 Conversion Conference: If you can’t convert your site’s traffic, it doesn’t matter how great your content is. The Conversion Conference is all about how to make your site a converting machine through A/B testing, effective copywriting and more. Confab Events: Confab Events hosts three different events about content marketing throughout the year. Check out their website to snag a ticket to their next conference. MozCon: MozCon is one of the top events in the entire marketing industry. With various sessions, speakers and networking events, you’ll learn about SEO, content marketing, CRO, community building and much more. Inbound: Inbound brings together some of the top marketing professionals in the world to talk about inbound marketing, sales and business. Search Marketing Expo: SMX is a global event that centers around search engine marketing. Learn actionable tactics and hear experts speak about the state of search marketing. Adding some content marketing books to your library is a great way to open your mind to new tactics and concepts that will sharpen your skills. Read through these books to learn more about branding, design, the art of storytelling and more. Buyer Personas is the marketer’s actionable guide to learning what your buyer wants and how they make decisions. Written by the world’s leading authority on buyer personas, this book provides comprehensive coverage of a compelling new way to conduct buyer studies, plus practical advice on adopting the buyer persona approach to measurably improve marketing outcomes. In this essential guide, Meghan Casey outlines a step-by-step approach for doing content strategy, from planning and creating your content to delivering and managing it. Armed with this book, you can confidently tackle difficult activities like telling your boss or client what’s wrong with their content, getting the budget to do content work, and aligning stakeholders on a common vision. Website design and development continues to become more sophisticated. An important part of this maturity originates with well-laid-out and well-written content. Ginny Redish is a world-renowned expert on information design and how to produce clear writing in plain language for the web. All of the invaluable information that she shared in the first edition is included with numerous new examples. Clout explains the key principles of influence and how to apply them to web content. Along the way, those principles come to life with practical examples from HowStuffWorks.com, Newell Rubbermaid, Centers for Disease Control and Prevention, and many more brands. While 170 tools sounds like a lot, it’s only a small percentage of all the content marketing platforms available. Did we miss your go-to piece of software? Let us know what your favorite content marketing tool is in the comments!